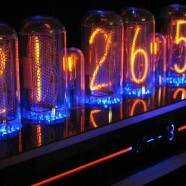 Back in 1954, before we had LED’s and digital readouts, Nixie Tubes were the only way to display digital data. Today, these delicate glass tubes are very rare. 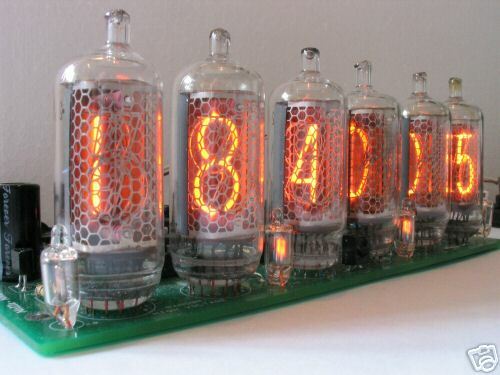 I’ve been buying them from decommissioned factories in Russia and designing them into retro electronic devices like clocks and other art pieces. Nixies fell out of favor as soon as other technologies replaced them because the fragile glass tubes are sensitive to shock and vibration and they require 180 volts to operate. 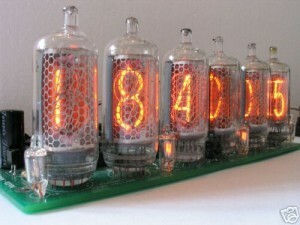 Ok… now Nixies are just plain cool!